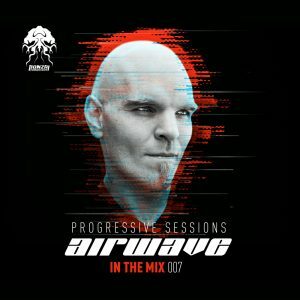 If a journey into the very heart of the music is what you’re after, call off the search – Airwave’s ‘In The Mix 007 – Progressive Sessions’ is available to order here (https://bit.ly/2yRtzfs) or you can listen via Spotify here (https://spoti.fi/2yO9oPB). Laurent Veronnez aka Airwave aka many many other guises was born in Brussels in 1977, he is a naturally gifted artist and this manifested in him at the age of just 7. Influenced by the 80′s and 90′s sounds and by greats such as Kraftwerk, Jean Michel Jarre, Orbital, Oliver Lieb and BT, he honed his skills in music knowledge and technology. Laurent would then see demos picked up by the infamous Bonzai imprint in 1996 and the stunning Airwave – “I want To Believe” was released. In 1998 this was picked up by many top DJ’s including Sasha and Oakenfold and later on by an up and coming DJ, Tiesto. Airwave’s sound was and still is prominent in the UK and Dutch trance scene and this has helped a host of today’s top DJ’s be where they are now. 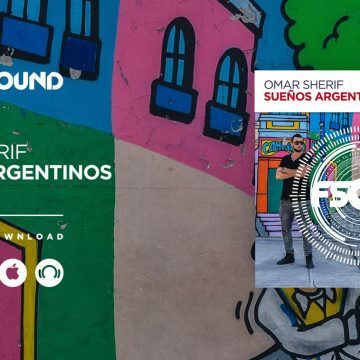 His infectious music spread further in 1999 to Germany, Italy and the world and now Airwave is a very popular name on the EDM scene with a huge, loyal fan-base. 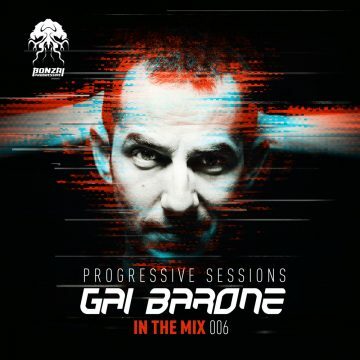 Versatility and great skill in the studio led to many collaborations including with his friend Jurgen Leyers forming together Fire & Ice and E.N.E.R.G.Y., with Georges Petkidis on some Planisphere tracks and with Marnik Braeckevelt as Antidote. The list continues with many other greats including Yves Deruyter, M.I.K.E., Armin Van Buuren, Ferry Tale, Marcus Schulz and John 00 Fleming, this is just the tip of the iceberg. Breaking boundaries and turning his hand to many genres of music Laurent has as many as 500+ productions and remixes under his belt. 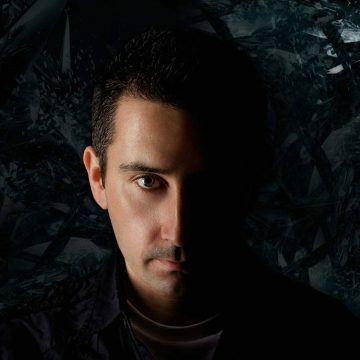 Laurent then started to develop his DJing and live performances and has played in some big venues, Slinky, Gatecrasher, Godskitchen, The Gallery, 1015, Dopler in Bratislava, and many others back in the day. In 2000 he embarked on a new wave of performance with gigs all over the world in England, Scotland, Japan, Korea, New Zealand, Canada, Netherlands, Spain, Finland, Norway, Switzerland, South Africa, with totally improvised keyboards while DJing and the Triloset was born and continues to this day. Fast approaching 20 years in the business, Laurent can never be pigeon-holed to one genre as his impressive list of albums will attest. His first album “Believe” in 2002 performed very well and this was to do well again in the 2004 album “I Want To Believe”. “Trilogique” soon followed and it is now that Laurent’s passion starts to come through in a big way. Released first in 2006 this album contains three parts, bringing the audience three different tastes of electronic music into one single package, “Trilogique” would go on to be a huge success reaffirming Laurent’s position in EDM. Many more albums followed and each have made their mark on the world. 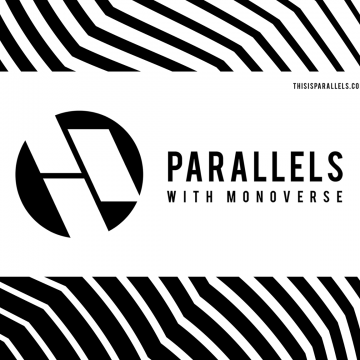 Time saw him finally running Banshee Worx with his long time partners and friends Marnik and Fly, and also expanding his knowledge of acoustics in order to develop his career as a producer and as a sound designer among others. Laurent runs a monthly radio show called Progrez where he showcases a wide range of music, this is followed religiously by his army of fans the world over. Music that is full of emotion, special and unique with expressed feelings, many have claimed it has changed their lives for the better. When there are discussions on greats of EDM the name Airwave-Laurent always crops up. He has a deep respect among his peers for his beliefs on the industry and he speaks honestly about how he feels and where he sees his musical vision take him. One of the most gifted artists of our time and with a passion still very strong we are sure to see a lot more from this man. Laurent’s works under many of his guises can be found at all good download stores and a comprehensive list of his various aliases can be found at Bonzai Music artist pages or Discogs.